Heirloom flowers are those that have been passed down from one gardener to another over many generations, as opposed to those developed in modern times by commercial breeders. Though they may not be the most stylish varieties, they are worthwhile for their reliability and old-fashioned beauty. Most fell by the wayside over the last hundred years, but there has been a revival of interest in heirlooms and seed companies have begun to stock the seeds. These varieties should be planted once the weather has warmed in late spring. All are grown as annuals and are suitable for all USDA zones. 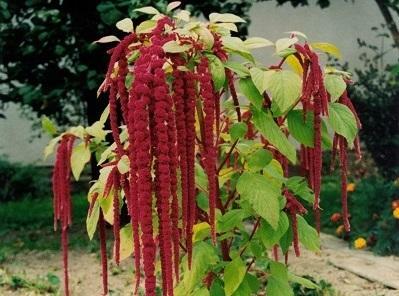 Love lies bleeding (Amaranthus caudatus) is an ornamental form of amaranth that is known for it drooping foot-long magenta seed clusters rather than its flowers. Growing quickly up to five feet in height, it needs full sun and regular irrigation. 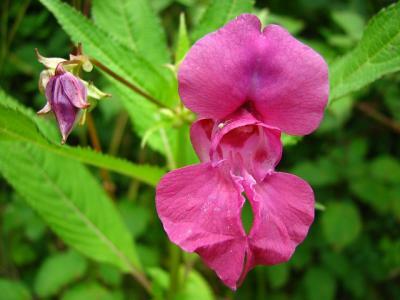 Balsam (Impatiens balsamina) is an old-fashioned type of impatiens that bursts quickly into flower in the heat of summer. 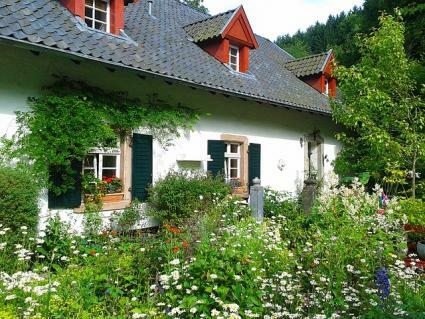 Simply scatter the seeds in a sunny flower bed and water. The balsam seed heads are adored by children because they pop open and shoot out their contents when touched. 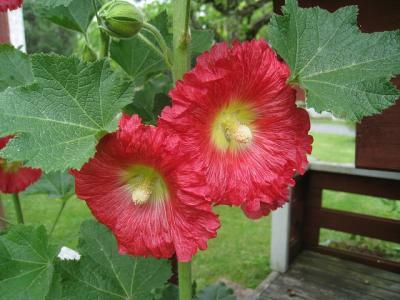 Hollyhocks (Alcea rosea) are a biennial flower that grows up to six feet tall, blooming in summer and late fall. Sow the seeds in a sunny position and plan to wait until the following year before the flowers rise from the basal leaves. Hollyhock stalks are likely to need staking to keep from following over. 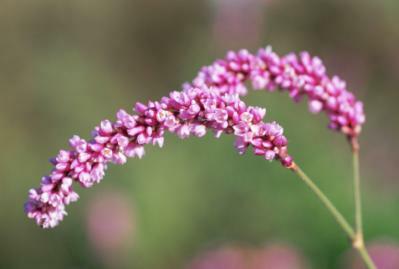 Kiss me over the garden gate (Polygonum orientale) grows about six feet tall before its gangly branches arch over and release drooping clusters of lipstick-colored blossoms - hence the name. Plant them in full sun next to a garden fence for the best effect. 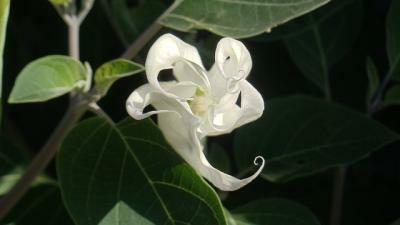 Moonflower (Ipomea alba) is a type of morning glory that opens its blossoms at night rather than in the morning. The six-inch diameter creamy white blooms resemble the shape of our nearest celestial body, but they also reflect its light at night, making for a magical effect. Plant the seeds in full sun where they have a trellis to climb on. These varieties can be planted as soon as the ground can be worked in late winter or early spring. All are grown as annuals and are suitable for all USDA zones. Scarlet runner beans (Phaseolus coccineus) are a type of climbing bean known for their brilliant scarlet red flowers as much as, or more than, their edible pods. They are easy to grow in full sun with lots of water, requiring little else to thrive other than a trellis to grow on. Sweet peas (Lathyrus odoratus) are another heirloom flowering vine that should not be confused with edible peas - they are completely toxic. 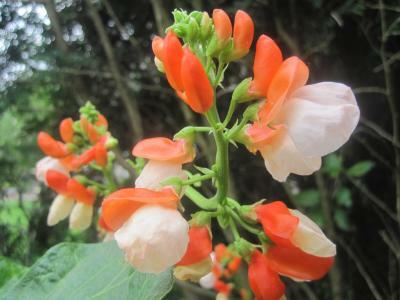 They look like edible peas except the flowers are much larger and come in rainbow of colors. 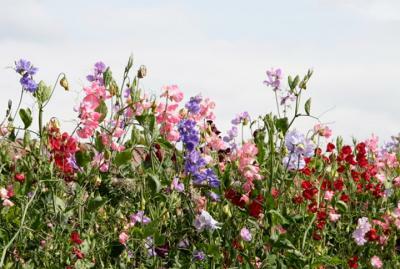 Plant sweet peas in full sun, give regular water, and make sure they have something at least five feet tall to grow on. Foxglove (Digitalis purpurea) is another beautiful, but highly toxic heirloom flower. They are biennials that are typically planted in fall for a bloom the following spring. 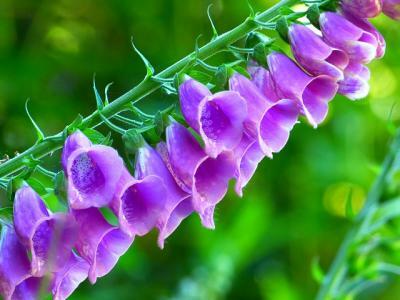 Foxglove grows two to three feet tall and prefers partial shade, rich soil and regular moisture. The tubular flowers have colorful spotted throats and are notorious for attracting hummingbirds. 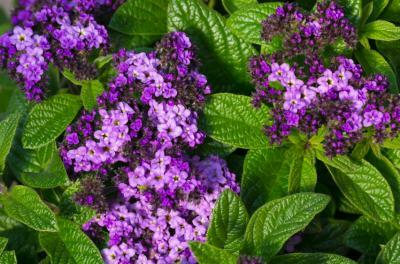 Heliotrope (Heliotropum arborescens) is adored for its deep purple flowers and heavenly vanilla-like fragrance. It likes partial shade, rich soil and ample irrigation. The heliotrope flowers grow into dinner plate size clusters that are irresistible to butterflies. 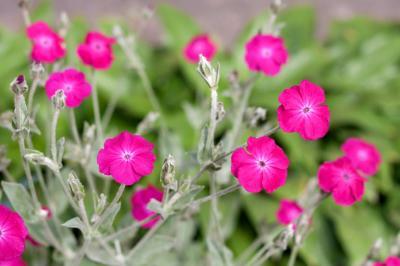 Rose campion (Lychnis coronaria) is a small plant with felty grey leaves that thrives in poor, dry soil - as long as it is well-drained. Its deep rose colored flowers rise well above the low mat of foliage and bloom again and again throughout the summer and are excellent to use as cut flowers. Growing heirloom flowers is about enjoying them and passing them on. Collect the seeds at the end of the year, put up some in glass jars for next year's garden, and share the remainder among your gardening friends.